SWISSCERT training partner, IQMS www.iqms.co.uk (iQ Management Systems, UK) is a highly qualified members of professional institutes and other organisations, including the Institute of Quality Assurance (IQA) and the International Register of Certificated Auditors (IRCA). IQMS Course Registration number with IATCA is 17054, having IRCA reference code as A 17199. IQMS has been specialized in management systems training and consultancy since 1990. It has a global partnership network that spans Europe and Asia, and that network is growing all the time. Clients come in all shapes and sizes and from all sectors. It would be wrong to try and define a typical IQMS client, but they regularly work with organisations from public and commercial sectors, providers of financial services, pharmaceuticals, construction, facilities management, engineering, manufacturing, medical devices, you name it. 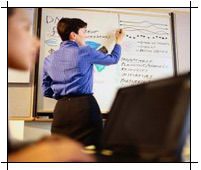 SWISO has highly qualified tutors for conducting training courses. These tutors have also conducted various training courses in different countries.